City Facilities | Welcome to Overton, TX! 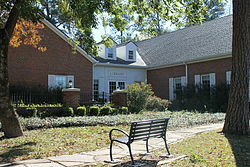 Overton City Park – located at the end of Lakshore Dr.
Overton Community Building – 505 Meadowbrook Dr.
Overton Lake – located off Lakeshore Dr.
Overton RV Park – located on Pearl St.
For more information concerning these city facilities please contact City Hall at (903) 834-3171. The City Hall of Overton is open Monday through Friday, 8:00 A.M. to 4:30 P.M. The city is run by a City Manager form of government. City Council meetings are held the 3rd Thursday of every month at 7:00 P.M. at City Hall, and are open to the public. Allied Waste is the contracted service that Overton utilizes for garbage. For any additional information regarding garbage services provided, please contact City Hall (903) 834-3171 for more information. If you have any questions or comments concerning our city please contact City Hall at (903) 834-3171 or (903) 834-3172. The City of Overton RV Park has thirty three (33) spaces equipped with electricity, water & sewer connections for rental on a daily, weekly or monthly rate. The RV Park is convieniently located near to the Community Center, Overton Golf Course, the City Park, and Overton Lake at the end of Pearl Street. A large gazebo is available to the Overton RV Park for use for picnics, cook outs and family gatherings. For more information concerning the RV Park rental spaces contact City Hall at (903) 834-3171.